You can find this on Josh's deviantART account by searching for Islay on his account. 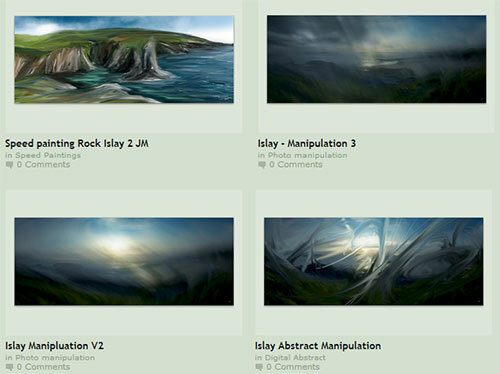 My favourite is Speed painting Rock Islay 2 JM, which is the picture I spotted first. Admittedly without the name I wouldn't automatically identified it as an Islay scene, at the same time it speaks to me and I can easily link it to Islay in my mind. Not sure if that makes sense to you, it makes sense to me. What do you think, does it say Islay to you?